Thousands are expected to flock to this year’s Kenilworth Show for a taste of the what country life has to offer. The largest one-day agricultural show in Warwickshire attracted more than 12,000 people to the showgrounds opposite Stoneleigh Park last year and is expecting huge crowds again on Saturday June 9. From left: Kimberley Brookes (Wright Hassall), Jennie Wheildon (Wright Hassall),'Karen Ellis (Kenilworth Show) Alexandra Robinson (Wright Hassall), Kerri Harwood (Wright Hassall) and Robert Poulton (Wright Hassall) at Stoneleigh Park ahead of the 75th annual Kenilworth Show. It will be the 75th edition of the show, which is held every year by the Kenilworth and District Agricultural Society (KADAS). Charlie Weetman, director of the Kenilworth Show, said: “We’re looking forward to celebrating 75 years of the Kenilworth Show and this year we have expanded the show yet again. “We have worked hard to put on a diverse range of attractions and entertainment but most importantly we will be showcasing the very best of the region’s agriculture. Among the attractions will be performances from Bolddog Lings Motor Cycle Display Team - Honda’s official and the UK’s number one motorcycle display team - as well as a parade of award-winning livestock, equestrian competitions, rifle shooting and the return of the Dog and Duck Show. There will also be an education area where visitors can learn more about farming from institutions such as Moreton Morrell College. A free shuttle bus will run from Kenilworth Clock Tower to the show on the hour throughout the day. 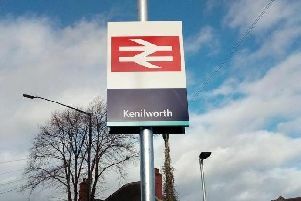 Entry to the Kenilworth Show starts from 9am on the day and children under-16 enter for free.